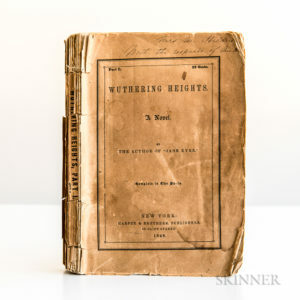 3 Ways to Research Book Values Online | Skinner Inc.
Have you ever found a cool vintage book at a thrift shop, or opened up an old frame to discover an ancient document? Perhaps someone in your family loved reading so much that they filled the entire house (and all of the closets) with books. Even a modest collection arranged on shelves in an unassuming den or living room can sometimes contain 1,000 or more books, and when downsizing one wonders where to begin! What if a small, simple looking book on the top shelf is worth $10,000?! Never fear, the internet is a great resource, and books are especially research-friendly. Even a novice, armed with the bibliographer’s most basic information can get started in researching book values. As long as you have the title page, you can begin to investigate the value of your book; with just the author, title, the city of imprint, publisher, and date, you’re already on your way. Online research tools for books come from three distinct sources: libraries; retail rare book dealers; and auction houses. Library databases provide information on the edition, format, rarity, collation, illustration, and other bibliographical details. Auction databases list recent (and historical) sales results, and retail sites list current dealer offerings. WorldCat is the world’s largest network of library content and services; hosted by OCLC, (the Online Computer Library Center) a nonprofit, member-driven library community. The WorldCat database contains over 336 million records with 2.2 billion cataloged items. It is the world’s most extensive bibliographic database listing the holdings of 72,000 libraries across the globe. In the world of rare books, professionals rely on this vast set of data to ascertain details of cataloging and establish the rarity of an item. Every library has its database with catalog entries for each item in its collection, but WorldCat aggregates all participating library data and makes it available to anyone at no cost. For books printed in the English language and English-speaking countries before 1801, the English Short Title Catalog is an essential research tool. It lists over 480,000 titles published between 1473 and 1800 from the collections of the British Library and over 2,000 other libraries. Like WorldCat, the ESTC is a library-based system and free to use. It is produced by the British Library and has a handy advanced search interface. WorldCat is essentially crowd-sourced, with each library providing its cataloging. Therefore inconsistencies are common; the ESTC is a set of data created, edited, and revised by a single set of bibliographers and researchers. These entries were formerly published in printed books and represent decades of the research and information-gathering of seasoned rare book professionals, and it shows. With the ESTC one can determine edition, collation, page-count, authorship, place of publication, and library holdings of any English book before 1801 with high accuracy. One of the first successful online retailers sold…you guessed it…books. Searching for books on a computer turned out to be a natural fit, and keeps improving. A proliferation of online retail sites for rare and used books exist, and can be searched individually (www.alibris.com; www.biblio.com; www.amazon.com; www.vialibri.net; www.abaa.org) however, in the interest of saving time, a single site that pulls from all of the above and others is most useful. For retail prices of books, I use AddALL, a website that collects data from pretty much every online bookselling site that exists worldwide. It’s a great first check for retail book values. I like the way the search interface is arranged, but it’s important to keep a few things in mind. When executing your search, fill in as much information as possible: author, exact title, and in the keyword field, type in the publisher’s name and publication date. Make sure to check off the boxes that say “No Print-On-Demand Results” and “No Quote,” which can make your results confusing. I also sort by price in descending value, so the most expensive items display at the top of the listings. 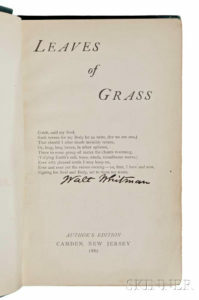 Auction values of books are usually about half moderate retail, so scroll down to see all of the prices, and keep an eye out for details: dust jacket, edition, signed by the author, condition, binding, etc. In many cases, this is just a quick and easy way to determine a book’s basic value. When you see that the nicest copy of the first edition signed by the author is available for a top retail value of $40, then you know for sure it’s not going to put anyone through college. Auction data on books, autographs, manuscripts, maps, documents, prints, and photographs are available for free from a few auction sites, and by subscription from others. Sales listing on eBay can be a little misleading when trying to establish realistic values. Many people see an asking price for an item and assume the seller is successfully selling material at this price point. However, reliable data is also available because sold prices are also archived on the site. To access this information, enter any search, and then scroll down the page, keeping an eye on the left margin for the section titled, “Show only.” When you see it, click the box below marked “Sold listings” and voila, real results. Skinner archives sales results for all of its auctions, in all departments. For books, just navigate to the Auctions tab, click on Past and then select the Book Department from the drop-down menu. You can also use the search box to search results from past sales and listings of items currently offered. LiveAuctioneers is another online platform for bidding that also archives sold prices and provides them for free. Register for an account by entering your information, and you will have access to auction results for more than 21 million objects across the world of antiques that have sold since 1999, collected directly from the auction houses. At Skinner, we also subscribe to two very useful research databases. The first is Rare Book Hub. This database contains approximately 5 million auction records for rare books, prints, maps, drawings, photographs, autographs and more. The advanced search tool is very helpful. It’s worth poking around to see how it all works. All of the prices here include buyer’s premium, and it can be tricky to interpret the very detailed information; it’s best done with the help of a professional. But, if you feel like digging in, subscriptions are available on a variety of levels and can be purchased a month at a time. Rare Book Hub is also a hub for the book collecting community, listing upcoming auctions, tracking industry trends, and publishing weekly book auction updates, and monthly newsletters. The second is American Book Prices Current which is the grande dame of book auction data. Similar to Rare Book Hub, it is available only by subscription, but it began its life as a series of books. (I used to go to the library to use them!) Researching autographed letters, photographs, documents, and other signed material under the Search Manuscripts tab on ABPC is exceptionally quick and easy. Decades of auction records for printed books are also found here, and the books search page is less complicated than Rare Book Hub’s. Whether researching an individual item or a vast library, going at it on your own, or enlisting the help of a professional, these online resources provide the answers to any rare book question that may arise. If you have a question you can’t answer, please don’t hesitate to get in touch. We’re happy to help in any way we can. If you find that you’re hot on the trail of something that may have good value, drop us a line. Auctioning your book or collection at Skinner just might be your next adventure! This entry was posted in Blog and tagged auction your rare books, find the value of rare books, rare book prices, rare book values, rare books, selling rare books by Devon Eastland. Bookmark the permalink. I have some old (1890’s to 1902) childrens books..they were my mothers..she was born in 1890..the books .. 1898 goody two shoes, alices adventures in wonderland, object lesson, nursery rhymes, my animal book, golden hours 1903, home stories 1897, jolly comrades some of the books do not have a date.. .. would these books be worth listing…. Susian Hadley, 6641 colfax ave, lincoln, ne 68507..
hi i have a book; the Canterbury tales. by Geoffrey Chaucer. from the text and with the notes and glossary of Thomas Tyrwhitt. condensed and arranged under the text. a new edition. illustrated by Edward corbould. London;routledge;warne;and routledge Farringdon street new York; 56 walker street 1863. would like to know value. Copyright, 1905 by Sylvanus Stall. It is a charming Victorian instruction book for young girls on how to be “proper” from the standpoint of the Women’s Christian Temperance Union. I have four interesting old school books that belonged to my dad. “United States History” by Archer B. Gilbert 1923, “Graded Lessons in Physiology & Hygiene” by William Krohn 1900-1908, “Healthy Living” by C.E.A. Winslow 1918-1920 and “Algebra for junior and Senior High School” by Calhoun, White, & Simpson 1923. Our Appraisal team will work together with our Fine Books & Manuscripts Department. Thank you very much! I have a 1934 Hard Cover/Red Binding, HEIDI book. It is stamped on the back. Would you be able to give me a estimate of the books worth. Very good condition. I have an incomplete set of Charles Dickens. (10 of 15). 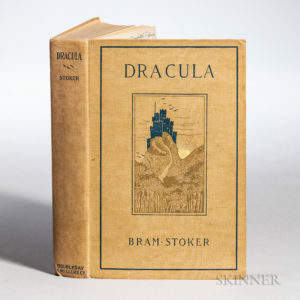 Leather bound and published in London England between 1901 and 1904. Also a thin volume of “The May Queen” by Alfred Tennyson (published in 1861 with permission of his widow), bound in red leather, gold embossed and illustrated. Please advise on how to get these appraised. I hope someone can help me. I am in the process of categorizing a vast library of books from an antiques dealer in southern California. They are divesting themselves of their library and some of the books are too old to find values for. We have created an inventory on WorldCat.org, but there is one that I can not find a value for. Hoping someone will see this post and point me in the right direction for a valuation. The title is A Notable Collection of Old English and Continental Silver Property of the Estate of the Late J. P. Morgan Public Auction sale October 30-31-November 1 at 2 p.m. Parke-Bernet Galleries Inc. NY 1947. This is a paperback version in fairly good condition. Many thanks for your help! Hello Cindy, If possible, please contact the Skinner Appraisal Department – they would be more than happy to help you find more information about your book or collection of books. You can contact the Appraisal Department by phone at 508-970-3299 or email evaluations@skinnerinc.com. If you do have photos – here is the link to the appraisals form on our website: https://www.skinnerinc.com/selling/auction-evaluation-form/ Thank you! What a wonderful website! I have a hard copy Remember These Things by Paul Harvey in excellent condition. Certainly not as old as some of the books on this site. Hello Pat, We can certainly evaluate your book, please contact the Skinner Appraisal Department – they would be more than happy to help you find more information. You can contact the Appraisal Department by phone at 508-970-3299 or email evaluations@skinnerinc.com. If you can provide photos – here is the link to the appraisals form on our website: https://www.skinnerinc.com/selling/auction-evaluation-form/ Thank you!